Natural Fertility Treatments are my speciality, and I have used these to develop an incredibly comprehensive program that has produced the highest pregnancy rate, and live birth rate in Ireland, (as of writing 82% of my patients starting treatment in 2016 are pregnant, 20% currently pregnant, with 62% having already given birth), using the all natural fertility treatments in my clinic. 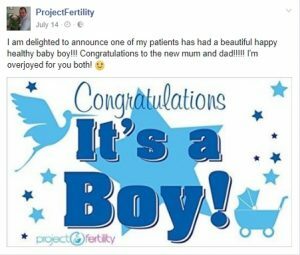 Fertility and the treatment of infertility are complex and they require a comprehensive solution to resolve them and that’s the first step before any Natural Fertility Treatments are applied – we need to KNOW WHY. It is deeply frustrating when you don’t know why you can’t get pregnant? Let’s fix that right now and get you answers. I am a big believer in patient empowerment through education. There is nothing more frustrating than trying to get pregnant and not knowing why it hasn’t happened…and the first step in fixing any problem is knowing what the problem is. From there you can develop a plan that comprehensively finds a solution to your specific issues. So this is always the first step I recommend – there is no point running off and doing a million and one things, taking this supplement, or taking this magic herb or jelly that you read about on the internet if none of those million and one things apply to your problem. We need to deep dive. It’s not enough to be told there is Endometriosis or Poor Egg quality. Being told you have low AMH or High FSH, issues with your progesterone, or oestrogen or thyroid or any of the other little boxes they put people in. That doesn’t explain WHY you have developed Endometriosis. It doesn’t tell you why your eggs aren’t developing; it doesn’t answer the root causes of your problems. “It just happens” is not an answer! And without KNOWING WHY, how can you really fix the problem. This is why my deep dive sessions are so important, why I spend so much time listening to my patient’s case history and asking the unusual questions. Why there is significance in being groggy in the morning and bruising easily that indicates an issue with chemical imbalances in the blood and digestive problems that can lead to blocked fallopian tubes. Or why having headaches and getting spots and floaters in the eyes could explain why natural implantation won’t be possible and why IVF repeatedly fails. You need to know why, before you can solve the problem. Because when you know why you get headaches, you’ll know what to do with Natural Fertility Treatments 3,6,7 and 11. If you’re waking groggy you’ll be able to apply Natural Fertility Treatments 2, 6,7,10, 12 and 13 correctly. Otherwise, all you are doing is spinning your wheels, and wasting precious time. Correct Structure is VITAL for our reproductive health and as far as I can tell something completely overlooked by both western fertility clinics and alternative health practitioners. Good healthy posture is vitally important for our physical and emotional health…the latter may surprise you but it’s true. Your spine and your hips are the coat rack upon which our organs hang. If the spine and hips are out of place then the organs may be compressed, misaligned or prolapsed. This is particularly important in reproductive health where the hips, the bowl of life as it were, needs to be in good position. A structural misalignment here can compress the womb, tilt it, compress a fallopian tube preventing ovulation or restrict blood flow leading to scanty menses and poor lining, impacting implantation. No amount of diet correction, acupressure, meditation, drugs etc is going to fix that. This is why the first thing I do with my clients is a postural assessment. I can quickly determine where your postural and structural imbalances are and I prescribe the appropriate Natural Fertility Treatments including exercises and stretches to rapidly correct that, along with a daily exercise that ensures you maintain proper alignment. Once your structure in place we need to look at your organs. If your spine has been kinked slightly, or that forward levis tilt that made you back sore and your belly look bloated has been present for too long the connective tissue that keeps your organs in place may have lengthened or tightened in appropriately over time. Again if your body is left in this state it will be difficult to get pregnant. Not impossible, but a darn sight harder than it needs to be. Luckily there are tried and true Natural Fertility Treatments to correct this, including Amno Fu an ancient healing system from China, and further developed in Japan by Sugiyama Waichi. 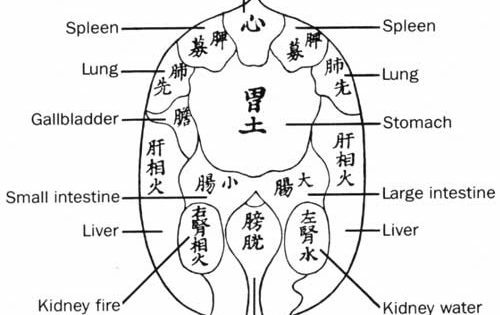 It is an incredibly powerful treatment based on the theories of TCM, which suggest that our internal organs (Zang Fu) control and regulate our physiology and psychology. 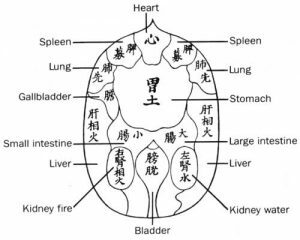 Amno Fu is used to clear blockages in the organs, stimulate the flow of energy, and correct the imbalances in the organs – both physically and energetically. Many things can affect the function of the internal and digestive organs, the main factor being stress. This may be emotional stress or physical stress. During these times of trauma, the Bowels, our very guts, can be affected physically – resulting in torsions, twists, and blockages. As a result, these twists and torsions can block the Bowels’ un-expelled waste (constipation), or putrefy it (diarrhea), leading in both cases to an increase and build-up of toxins in the body, creating imbalances in the Liver and immune system. This, in turn, has a negative impact on our reproductive health. But we can overcome this using Natural Fertility Treatments such as Amno Fu. So far I’ve shown you the importance of getting a proper diagnosis, one that actually explains why getting pregnant hasn’t happened yet and we’ve looked at 2 key Natural Fertility Treatments overlooked by the vast majority of clinics…..there are still 12 more important Natural Fertility Treatments to go, but I also realise that this is already a long article….so I’m going to stop here for now and we’ll take it up in part 2! You’ve been reading The 14 Natural Fertility Treatments You Need to Get Pregnant (Part 1), discover the secrets of draining toxins from your body, and learn which treatment prevents delays in conception in a 12 month period by over 55% in women…and how to restore your fertility hormones to proper balance using just your fingertips in Part 2. If you’re trying to get pregnant or stay pregnant and don’t know why things aren’t working out – I can help. Click here to book a FREE 1-on-1 fertility troubleshooting session now.